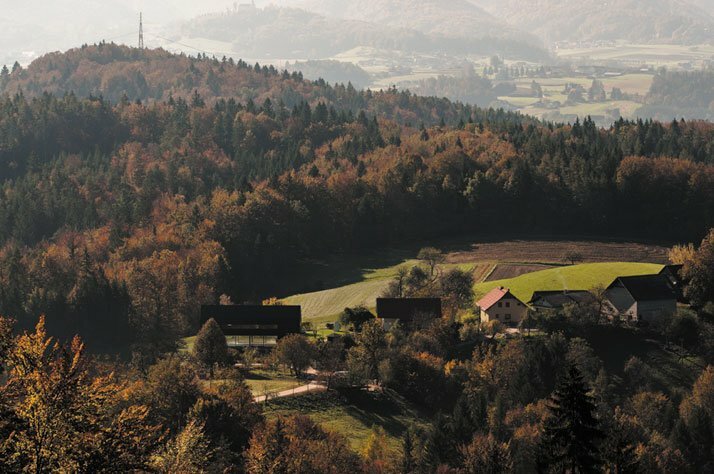 Photo © Miran KambiÄ, Jure GoršiÄ. 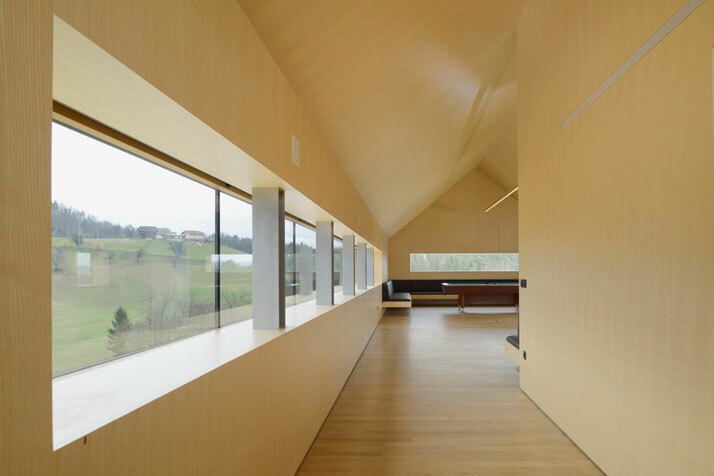 Ljubljana-based architecture practice Arhitektura DOO has recently completed a new project on the outskirts of a small village in the traditional Lower Carniola region in southwest Slovenia. 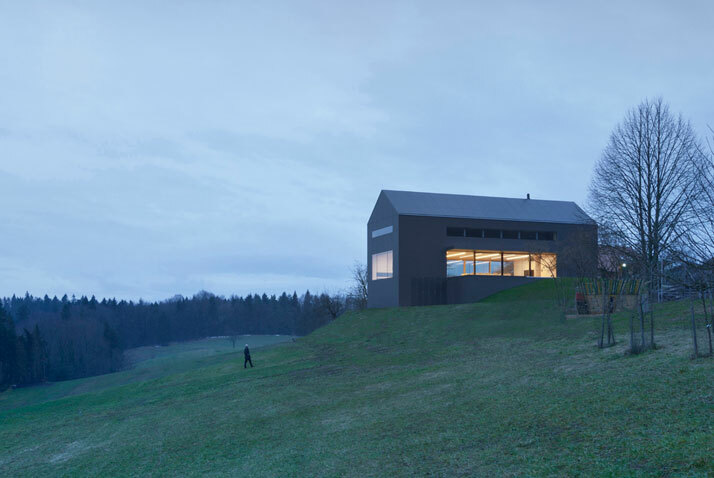 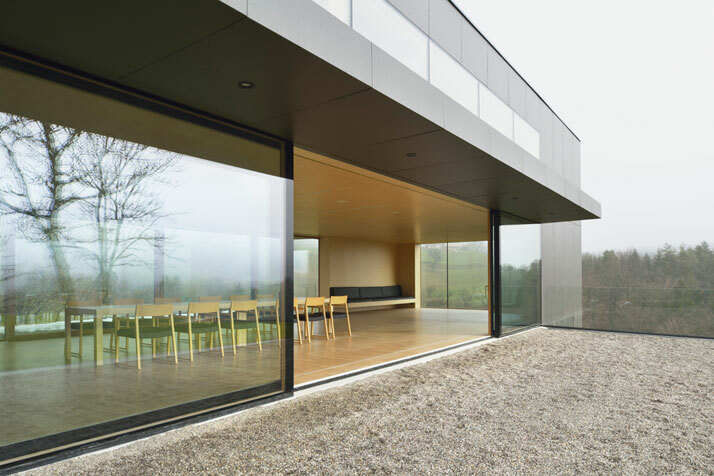 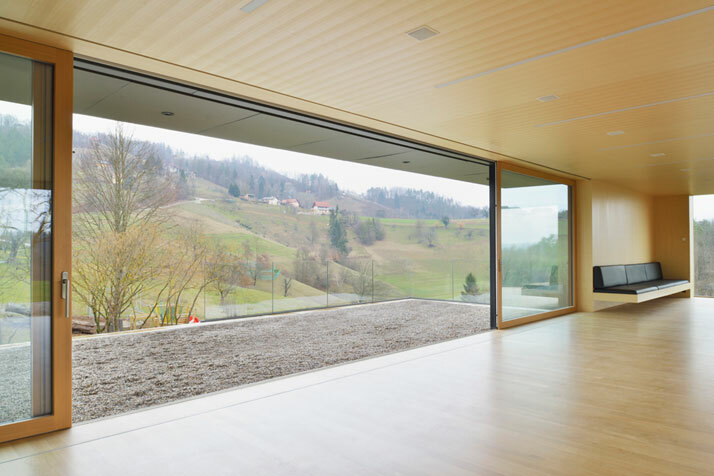 The building, dubbed The Black Barn, replaces an older barn built on the same plot, and is part of the farmstead of a Slovenian businessman who likes to spend some of his time in the countryside. 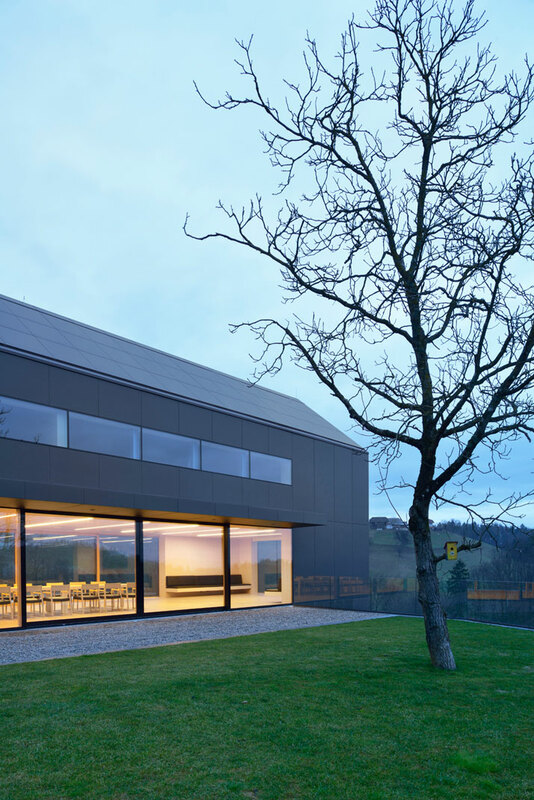 The client commissioned Arhitektura DOO to create a building that would complement his nearby existing residence by combining agricultural uses (such as the storage of honey and processing of fruit) with business meetings and family celebrations. 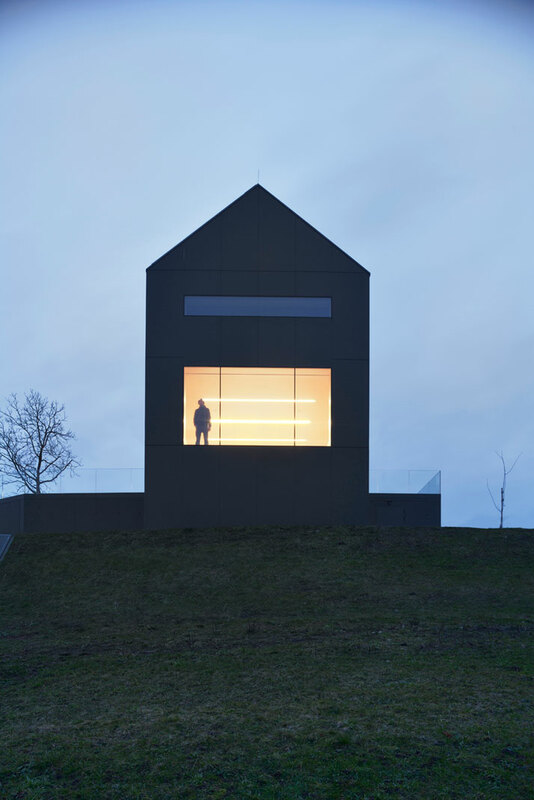 The result is an almost monumental three-storey structure overlooking the valley below, which fuses the elements of local traditional architecture with a minimal contemporary aesthetic. 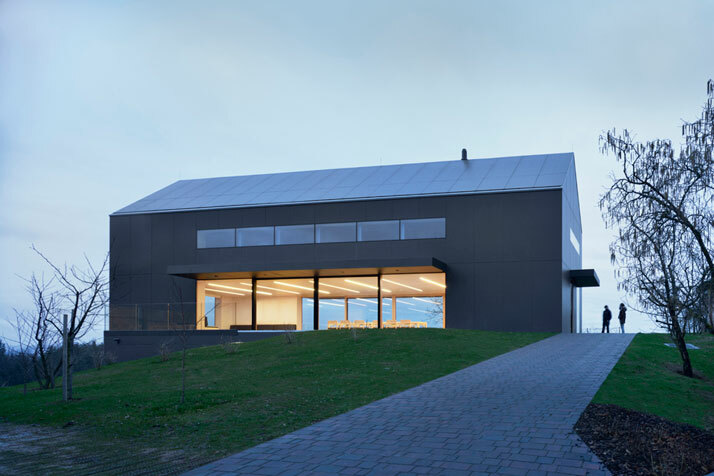 The dark exterior simulates that of existing barn houses in the area, cleverly allowing for the discreet inclusion of photovoltaic panels on the entire roof. 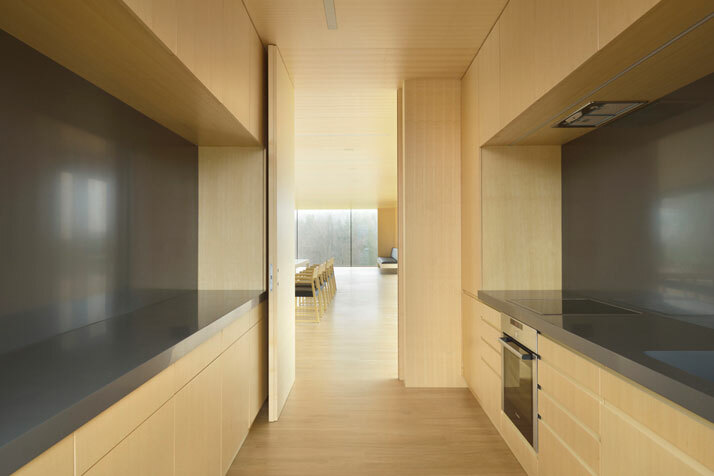 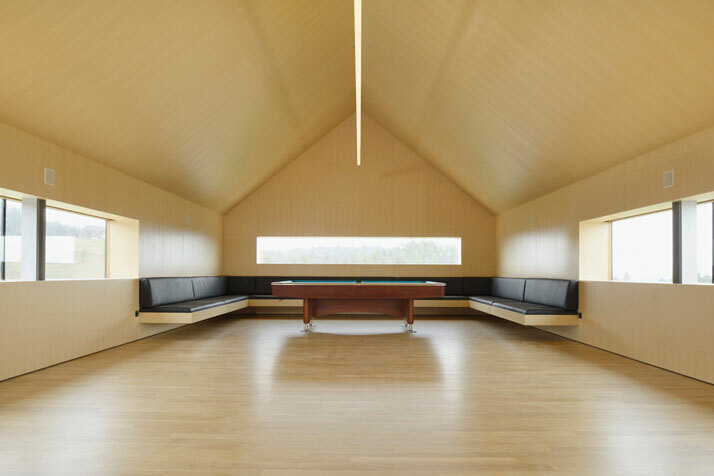 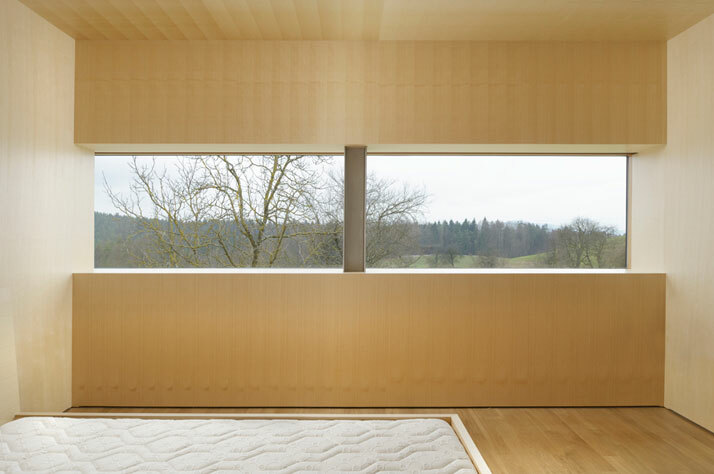 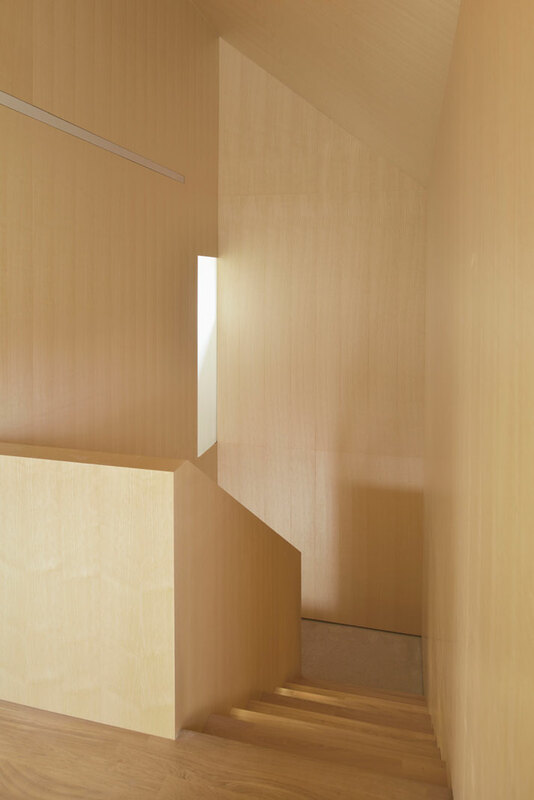 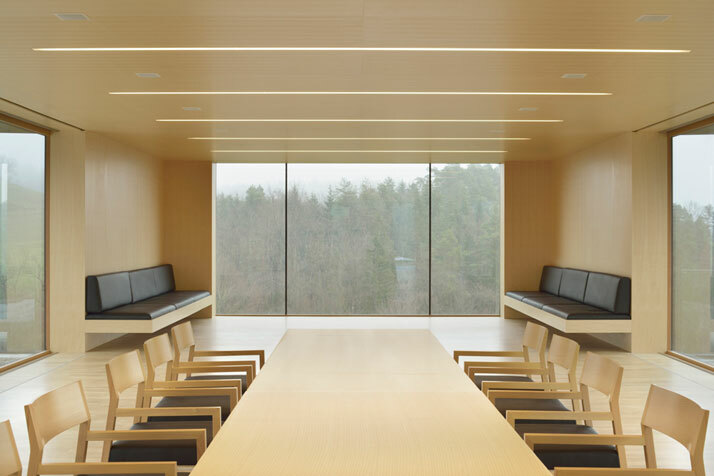 The large, open interiors were achieved by placing the main supporting structures in the four corners, while the use of bright ash tree panels across the walls and ceilings give the impression that the spaces have been carved out of a solid piece of wood. 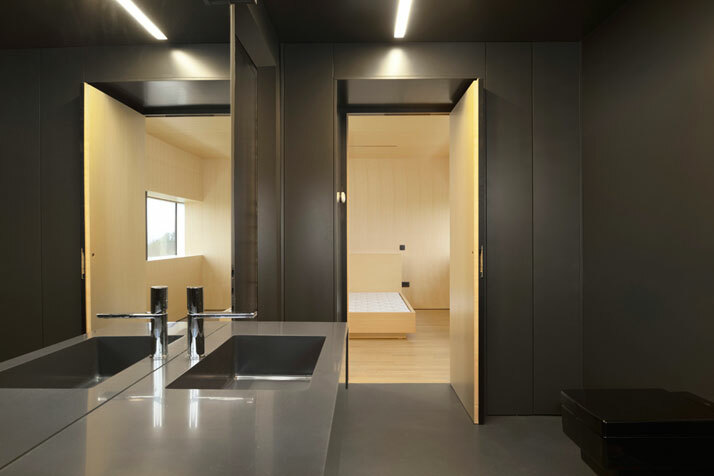 In addition to the ample room for socialising and gathering, the building also includes a small guest bedroom on the upper floor, and a storage room together with a bathroom and a sauna in the semi dug-in basement.